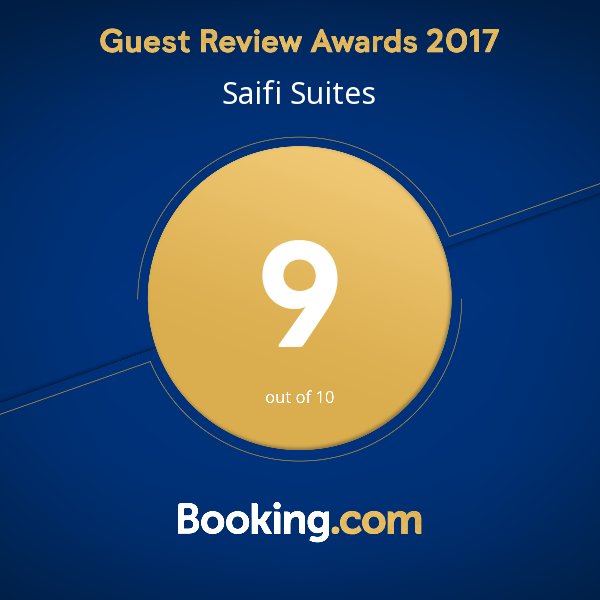 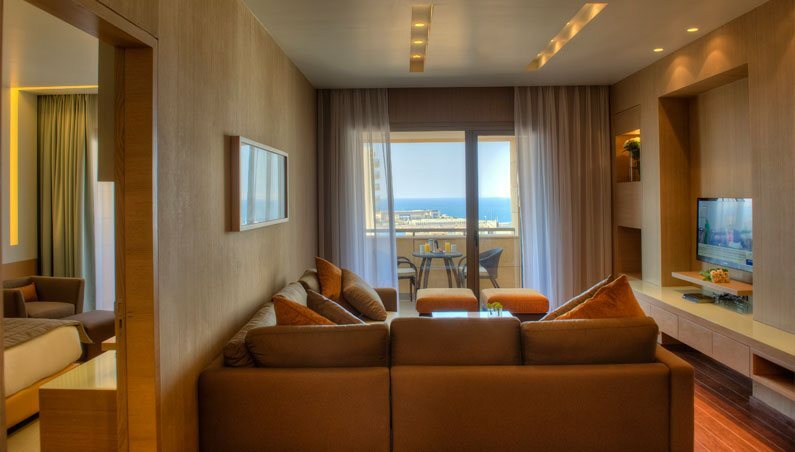 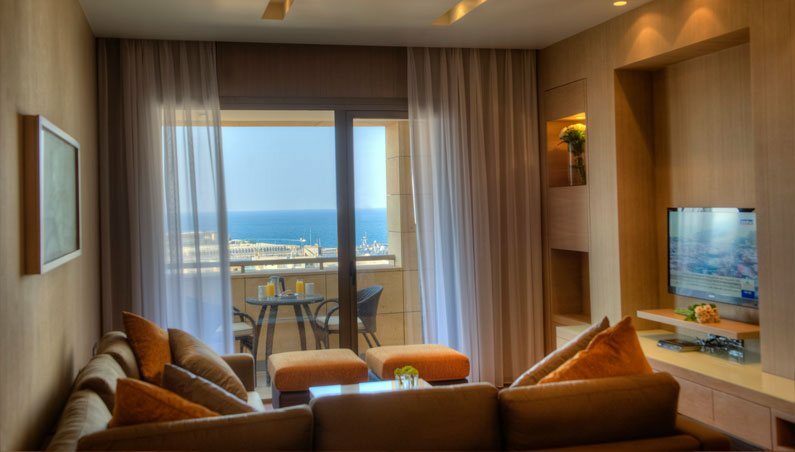 Executive Suites | 4 stars Hotel in Beirut | Deluxe Rooms to Executive Suites, Boutique hotel, hotel in Lebanon, best hotels in lebanon. 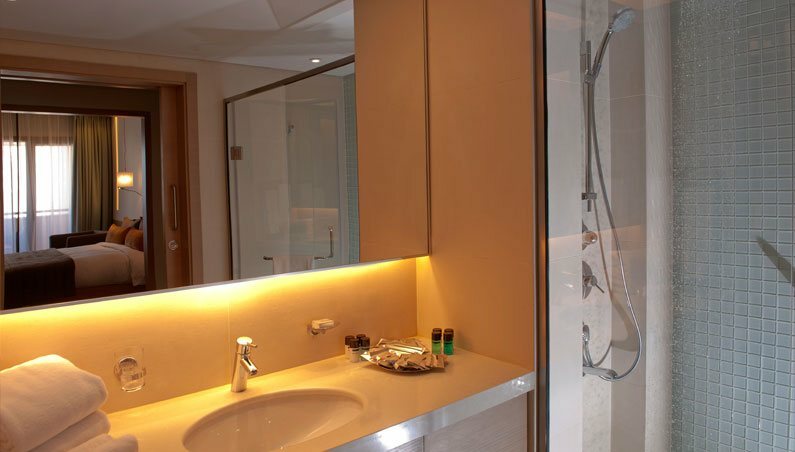 - It's Over 9000! 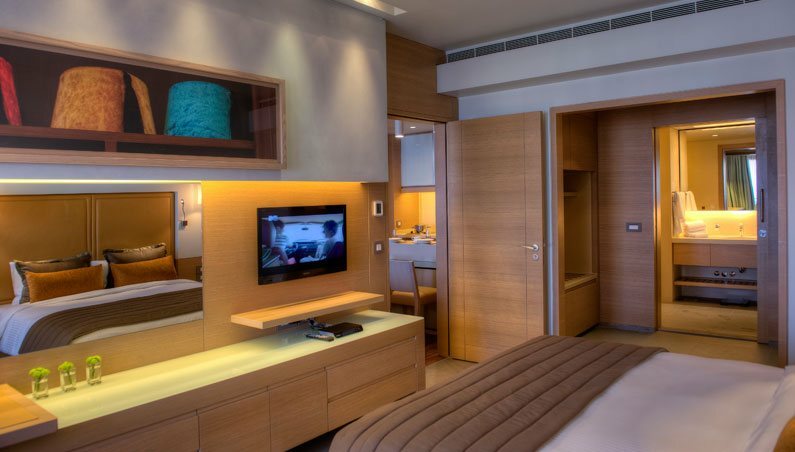 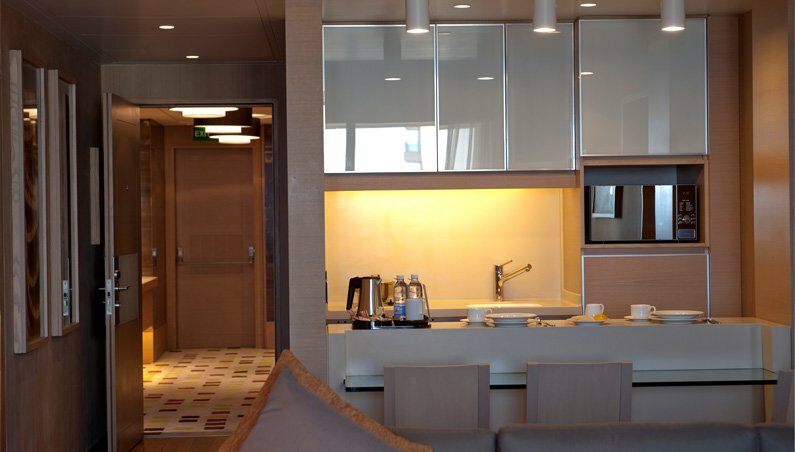 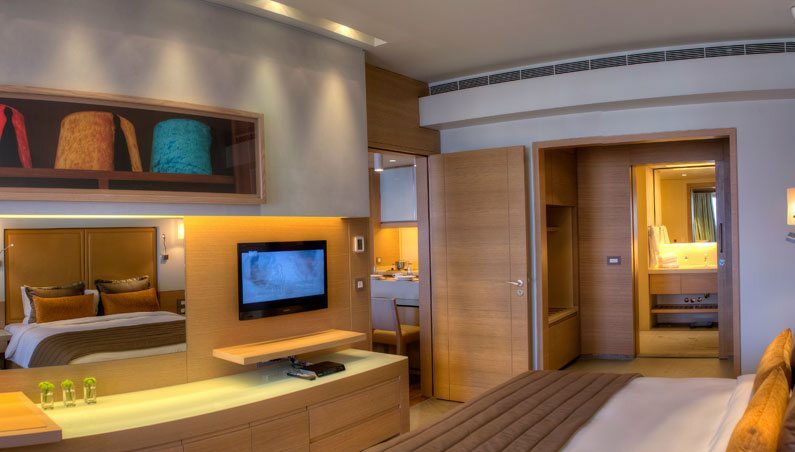 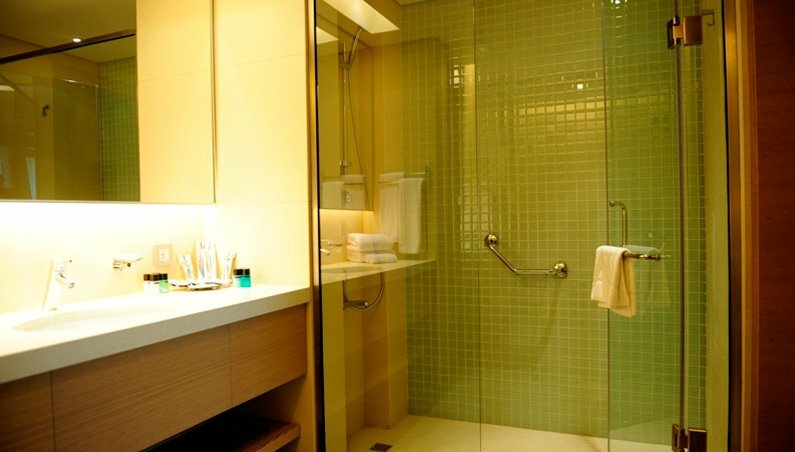 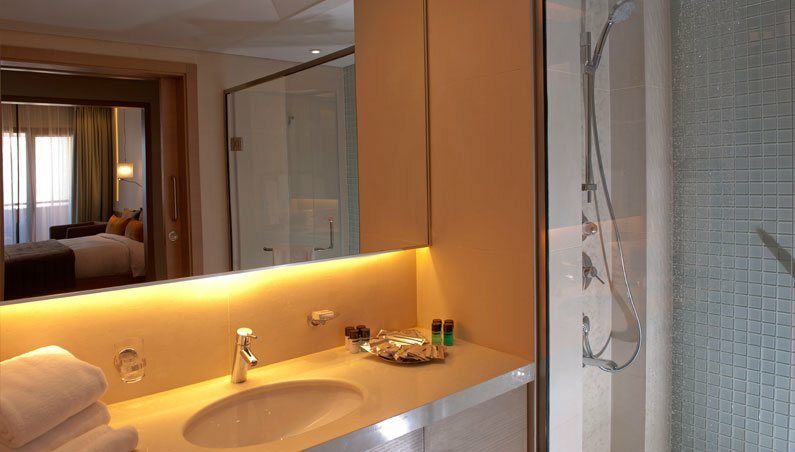 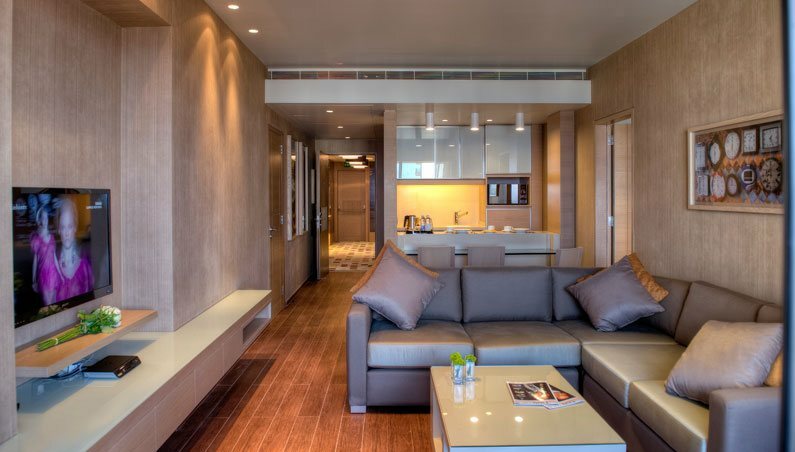 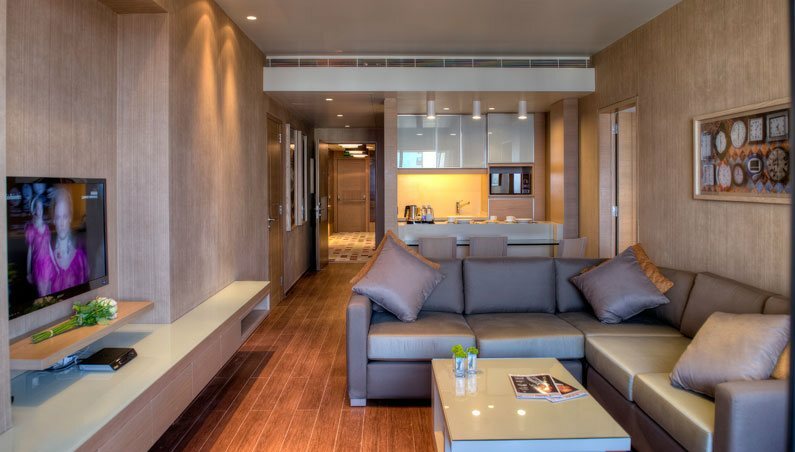 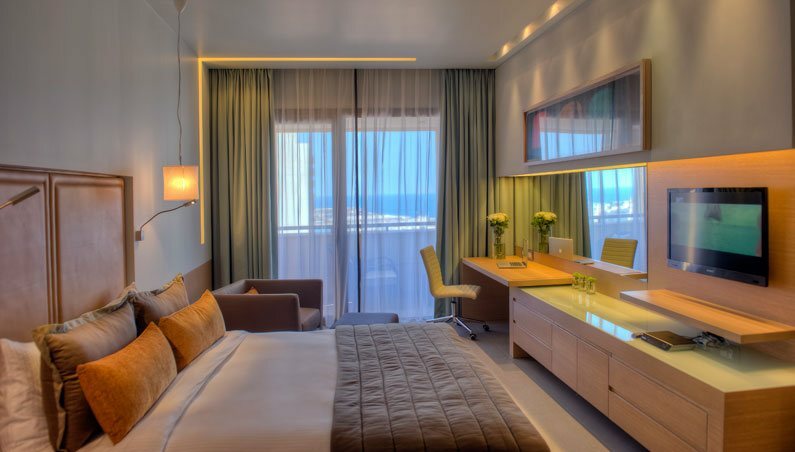 Our Deluxe Executive Suites are 70sqm large and are located between the 2nd and 6th floors. 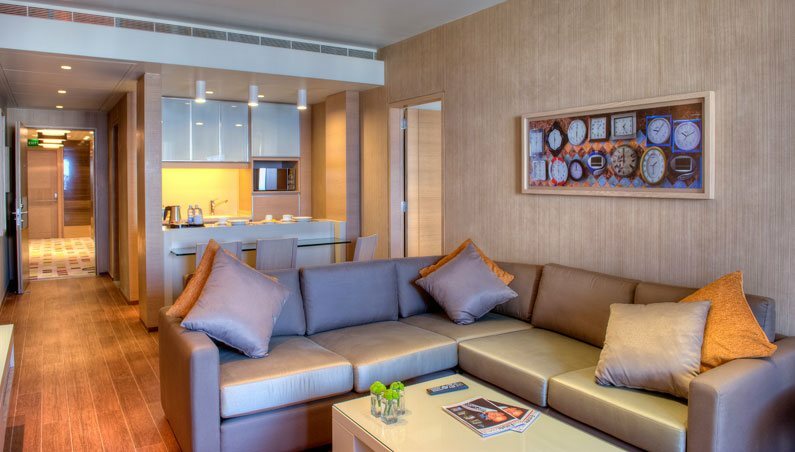 Enjoy a King Size bed (180cm), as well as a separate living area, a kitchenette, a fridge, and a balcony overlooking the city. 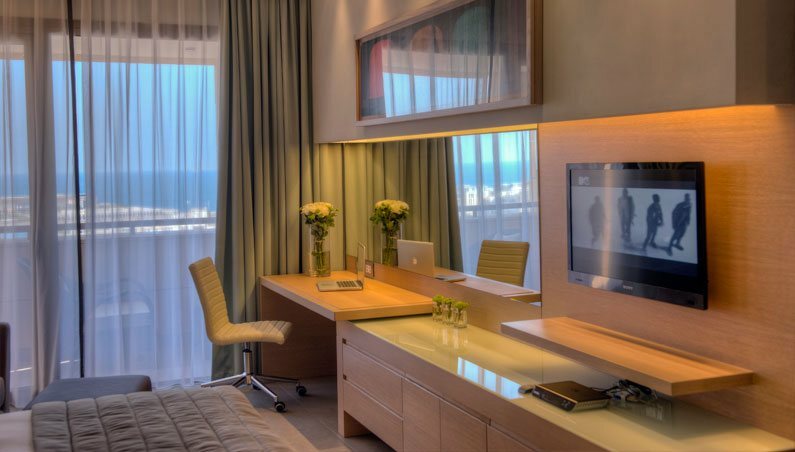 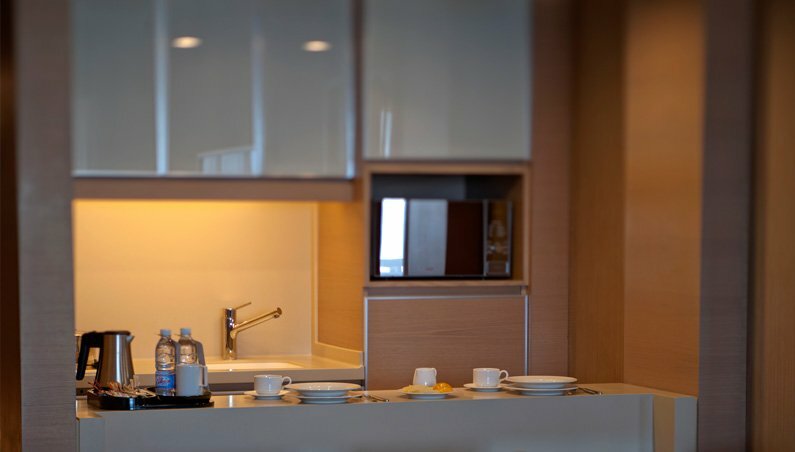 Our Superior Executive Suites are 70sqm large and are located between the 7th and 10th floors. Enjoy a King Size bed (180cm), as well as a separate living area, a kitchenette, a fridge, and a balcony overlooking the city.